Front Rank | Front Rank Figurines specialises in the design and manufacture of high quality military war games and collectors figurines in 28mm and 40mm. 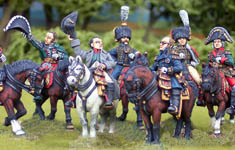 PRUSSIAN GENERALS & STAFF ~ NOW AVAILABLE! PRUSSIAN FOOT ARTILLERY NOW AVAILABLE!